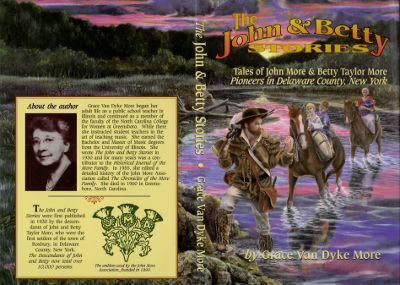 This painting was commissioned by the John More Association as the cover of The John And Betty Stories. The stories happen to be about my ancestors who were early setlers in upstate New York. John was quite well known in his area and served as a magestrate. When the Revolution happened, his friend the Indian leader Joseph Brandt came through the area with Torries killing everyone they found. But in the middle of the night John and his family were saved by his Indian friend who came in the night to warn the family. 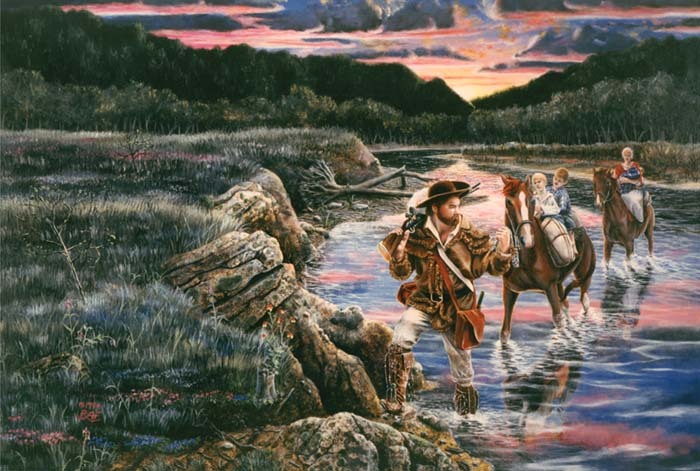 They set out with what little they could take and fled through the Catskill mountains. 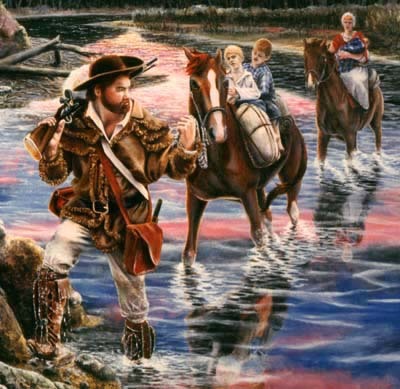 The painting depicts John crossing the Bearkill on his way east, where he would join the revolution.